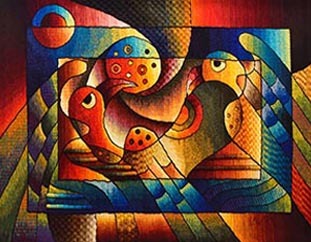 Maximo Laura is Peru’s most prestigious weaver and is attributed for preserving the ancient methods of weaving. 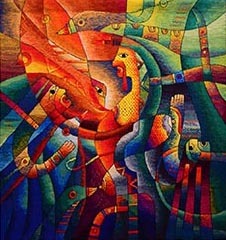 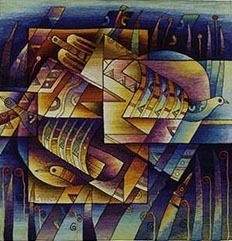 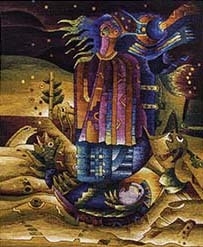 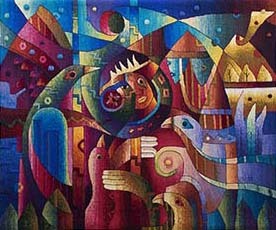 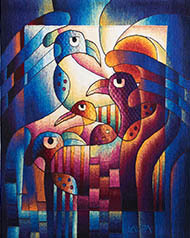 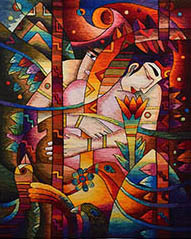 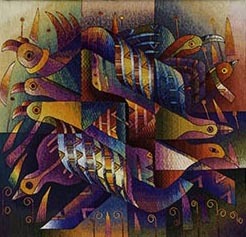 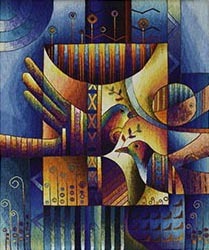 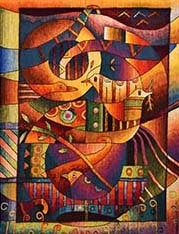 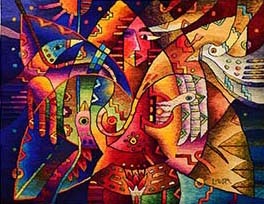 His exhibit Cantores De Luz (Singers of Light) at Art Works, is full of color, movement and symbolism that intertwine ancestral Peruvian techniques, symbols, memories and myths with contemporary aesthetics. 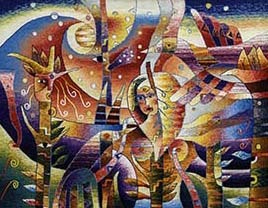 All Laura tapestries are hand-woven at the Maximo Laura Studio. 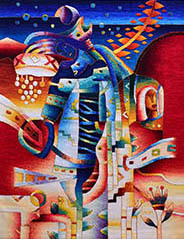 These tapestries are on exhibit at Art Works and available for a limited time. 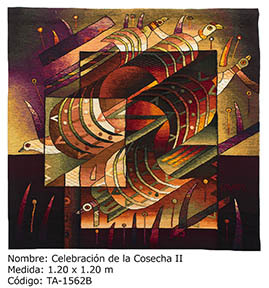 Each tapestry was created specifically for this exhibit, crafted and hand-woven in Maximo's workshop, with the finest of wool and dyes. 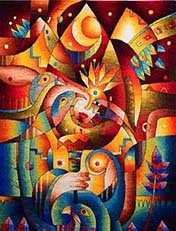 These are not commercially produced tapestries.